I spent most of yesterday at a funeral with a very close family at our church as they said their goodbyes to a strong, faithful, caring woman. Bobbie Austin was a straightforward, honest, loving mom, wife, and friend. My wife was very close to Bobbie and took her passing pretty hard. Quite possibly because Bobbie had such a compassionate heart when it came to our son, Richie, who passed away three years ago to Duchenne’s Muscular Dystrophy. While Richie was here, Bobbie was always loving him, talking to him, listening to him. There was a bond. And when Richie went to be with the Lord, Bobbie was there to comfort and help Dorothy’s hurting heart. Bobbie’s own battle for health began eight years ago with a cancer diagnosis. Then in August of 2012 she was told she had multiple tumors in her brain and the doctors gave her just 3-7 days to live. But, as my pastor has said many times, they only practice medicine while we know the Great Physician. Surgery was immediate, but so was the prayers of many people who loved Bobbie. Instead of the 3-7 days, she lived for another two years! She continued to declare God’s faithfulness, even when it couldn’t be seen with the natural eyes. She continued to declare His wonders to every doctor she met as her grim diagnosis dimmed in life’s rear view mirror by some 900 additional days of life. She continued to talk of the love and grace and mercy of God to anyone who would listen even when the doctor’s reports weren’t always easy to hear. While listening to our pastor do a great job preaching a celebration of her life and the joy of Christ that shined through her, I couldn’t help but remember the first funeral I preached almost a year earlier. Billy Edwards was a man in our church who was pretty new in his Christian faith. He was in his early 60’s and had lived a hard life. But God preserved him throughout those years so that, as the apostle Paul would say in Galatians 1:15-16, at God’s timing He revealed His Son to him. God’s grace kept Billy alive long enough to receive His grace and become a child again at 63. I met Billy about a month after he was saved. Still raw, still being changed, but a man who had fallen in love with Jesus. About two weeks before he was tragically killed in a car wreck, he asked me if he could preach sometime. I told him we’d work out the details, but definitely I would let him preach. Moses was a mighty man. He was the man who was going to overthrow the Egyptian government. He was the man who led a million and a half people out of Egypt. And he’s out shoveling sheep dung? Are you kidding me? Nothing you have been through will be wasted. 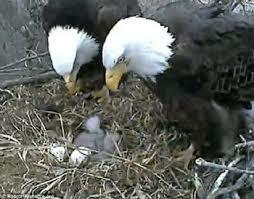 We are like eaglets in a nest and environment that is comfortable for eaglets. In that nest they are fed and nourished while they develop and when the time is right the mother eagle stirs up the nest. So God stirs up the nest we are in and He takes us out of our comfort zone – makes us get up out of that lazy boy chair. Moses became an illustration for us because God put him in that cushy position. Moses was fanned, hand-fed grapes, someone bathed him, wash his clothes, press his undies, and life was great. He grew up in the life of luxury. Then God stirred up the nest Moses lived in. You can tell when God stirs the nest because all hell breaks loose and like the little eaglet trying to find a soft spot to sit down, we can’t because it’s uncomfortable. So we try another spot and jump up again. But just because something ain’t working for you doesn’t mean you are under a satanic attack. It could be possible you’re trying to rest where God used to be. Seeing yourself through the lens of who you were will stop you from seeing yourself through the lens where God is calling you to be. Nothing is more frustrating than trying to raise something up that God is trying to kill. Nothing is more frustrating than trying to be somebody God is trying to crucify. You have to have the liquidity of thought and the nimbleness of mind to transition yourself from where you once saw yourself – to go where God is calling you to be. If we see ourselves as eaglets, in our nest, enjoying the comfort, it’s hard to soar like the eagle God wants us to be because it takes more effort, more energy, more work. And to expand our wings is more effort. It’s easy to sit back and say feed me, love me, acknowledge me, open doors for me. Its me, me, me, me, and when the food stops, it’s time to move on ‘cause momma ain’t bringing the food like before. But what do you do when you have prayed and prayed and it doesn’t work? And the rebuking doesn’t stop it and you find yourself hungry? And when you’re hungry and you don’t have the nourishment and the rest you used to have – you lose grace. Grace will cover your eyes so you can’t see what you’re going through. When grace stops you notice the thorns and thistles coming up and now you have to move. Moses’ thorn and thistle was the murdering of an Egyptian man and the people started talking about it and rising up against him. People will always bring up what you did in life, so you have to be careful about what you do in your life. Moses had to give up the palace with its marble floors, being fed grapes, somebody washing his clothes. He had to get up out of the nest and escape. Life of luxury was over. So he ran to the desert – a dry barren place. Hot. So while he was running to escape, he ran smack dab into his purpose and what defined him and a new identity. He had an epiphany, in other words; an awakening; a spiritual epiphany. It changes the lens of the things you see going forward. You don’t have one every day, or every week. Moses’ epiphany changed him in a moment. It changed his life for the next forty years. It put him in a wilderness. He didn’t know who he was, how he got there, or how to survive. He was lost. He already had an identity crisis going on. He was born a Hebrew boy, but raised by the Egyptians. He was too Egyptian to hang with the Hebrews and too Hebrew to hang with the Egyptians. He smelled like an Egyptian, talked like an Egyptian, but was a Hebrew. I like talking to people who have a background that’s complicated. I wanna talk to people whose resume has to be censored. I wanna talk to people who only tell half their testimony because there are only certain parts of it that are fit for human consumption. When you have to put a ‘but’ in there it’s because there’s a need to extinguish some of the circumstances. I can tell you the good times, but it’s complicated. Moses was an educated man. A strong man. An intellectual man. But since he was a Hebrew, well, it was complicated. When you hear people say that they’ve been happily married for fifty years and people clap – they’re lying and ain’t been happy-nothin’ for fifty years. They only tell about the good stuff. They don’t tell you about how she spent all the money he was saving. He didn’t tell her about the young secretary he had. She doesn’t tell you she married a momma’s boy and how she sends him to momma. Now you married people in here ain’t saying nothing because you don’t want to blow your cover, but there are some divorced ones in here who have my back. You know what I’m talking about. So there’s Moses – out shoveling sheep dung. Sheep can look real pretty and white in a picture, but that’s photo enhancement. They stink. You can’t smell them in the picture and them sheep had an odor – that’s a French word for “stink”. But then he remembered that Jethro, his father-in-law, had taken him under his wings and showed him which roots to get water from; what and what not to eat to survive. After being alive eighty years, Moses came to the mountain and saw the burning bush and the angel appeared to him out of the flame of the fire. God had not yet spoken to Moses, but when God saw Moses turn aside, that’s when God spoke to him in a language that Moses understood. You see, if you’re exposed to something and you keep on walking, it’s not for you. But if you’re exposed to something and you turn aside like Moses did, then it’s for you. If you curse the way God leads you, you will not make it to where he is taking you. Billy said: Seeing yourself through the lens of who you were will stop you from seeing yourself through the lens where God is calling you to be. While God does love you just like you are, when He calls you and you respond, He will not leave you where you are. He will call you to walk with Him. and while walking with Him, He will change you. We’re not saved by works. We’re saved by grace through faith. We don’t have either one of those – grace or faith – but God gives us even the ability to believe in Him. After we come to Him and we can truly call God our heavenly Father, He will lead us into His works that He prepared specifically for us. You have your own works that God prepared for YOU to do – and Jesus will be right by your side every step of the way. Richie, Billy and Bobbie, would want you to surrender your life to Christ. They were different people, different lives, different troubles, but the same Heavenly Father. In the midst of life, they found a faithful, loving God who welcomed them, in spite of their past, into His family. They found love, mercy, grace, peace and hope. The sure sign of insanity is doing the same thing over and over and expecting different results. If you’re really ready for a change, put your trust in Jesus. These saints still faced hardships, but they had peace til the end and now they all have a secured place in heaven.